Under Construction. 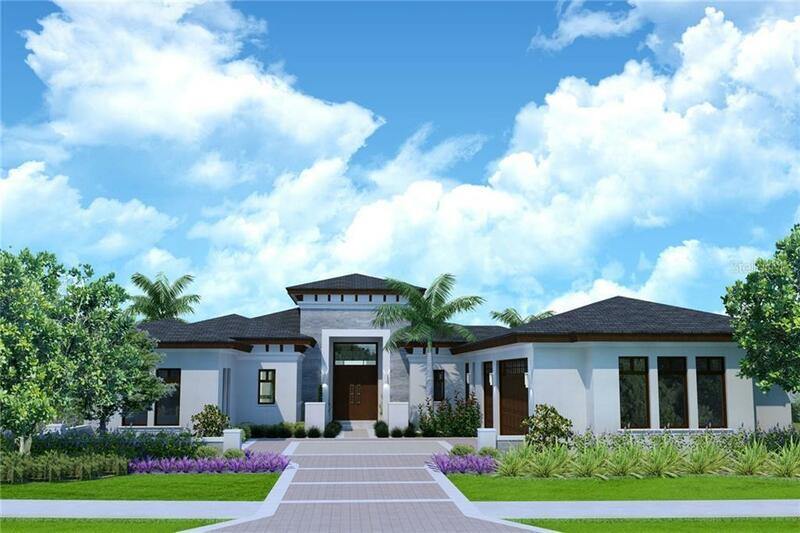 This transitional single-story home by Barcellona Homes offers great space for entertaining with its open floor plan as well as a convenient location to many of Lake Nona Golf & Country Clubâs amenities. The three-bedroom four-bathroom residence provides more than 3300 square feet of interior living space and features an incredible private outdoor living area with relaxing water views. White polished porcelain floors stretch throughout the main living areas of the home including the foyer formal dining area family room and kitchen. The kitchen displays high-performance appliances by Bosch and Sub-Zero an elegant glass-walled wine closet walk-in pantry black quartz countertops and a grand center island that adjoins the kitchen and family room. Floor-to-ceiling sliding glass doors lead from the family room to the large outdoor living area. A wooden deck extends off the back exterior of the home connecting the covered lanai with a summer kitchen sparkling pool with raised spa built-in fire pit and sophisticated landscaping overlooking the water. The master suite occupying the back left-wing of the home has direct access to the lanai and fire pit through a private rear entrance. The luxurious master bathroom showcases a glass double rain shower two separated spacious vanities that frame a free-standing tub and a generous walk-in closet with ample built-in storage. Description and artist renderings are used for representation purposes only and are subject to change.